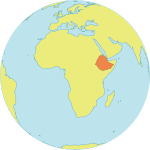 The Programme Analyst is located in Addis Ababa Country Offices (CO) and reports to the Humanitarian program Specialist. The Humanitarian Programme Analyst substantively contributes to the effective management of UNFPA activities in the areas of population & development and reproductive health in humanitarian settings. S/he analyses and assesses relevant political, social and economic trends and provides substantive inputs to project formulation and evaluation, joint programming initiatives and national development frameworks. The Programme Analyst guides and facilitates the delivery of UNFPA’s programmes by monitoring results achieved during implementation. S/he ensures and guides the appropriate application of systems and procedures and develops enhancements if necessary. Three years professional experience in the field of reproductive health activities in humanitarian settings, preferably in programme/ project management. Fluency in English is required. Depending on the duty station and working knowledge Amharic anguage is required.